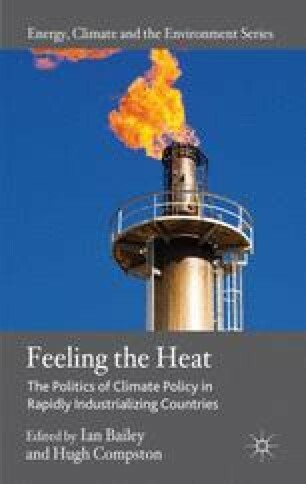 Despite the European Union’s attempts to assert international leadership on climate change, the US retains the greatest potential of any single country to influence the development of climate policies in rapidly industrializing countries. Until the mid-2000s, the US was the largest national source of greenhouse gases and it remains the largest historical polluter of the global atmosphere. On a per capita basis, its population is also among the most polluting in the world. Although there has been some significant action to tackle climate change at the sub-national level within the US, nationally and internationally the US has swung between being a modest leader on climate change to being the greatest obstacle to international action on the issue. To a great extent, US cooperation with industrializing countries on climate change has served as a weak substitute for action at home.